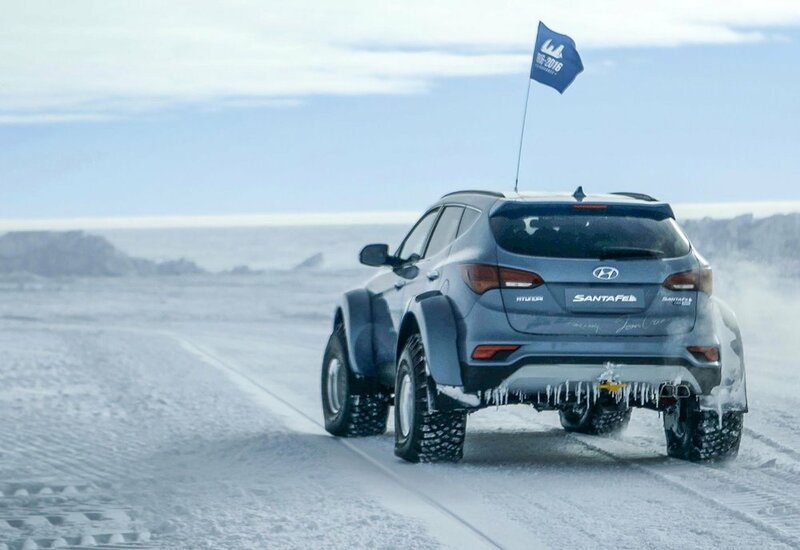 A modified 2.2-litre diesel Hyundai Santa Fe has made history, by becoming the first passenger vehicle to be driven across the continent of Antarctica from Union Camp to McMurdo and back again. The journey, which took place in December 2016, was timed to commemorate the centenary of legendary polar explorer, Sir Ernest Shackleton’s Trans-Antarctic expedition of 1914-16. 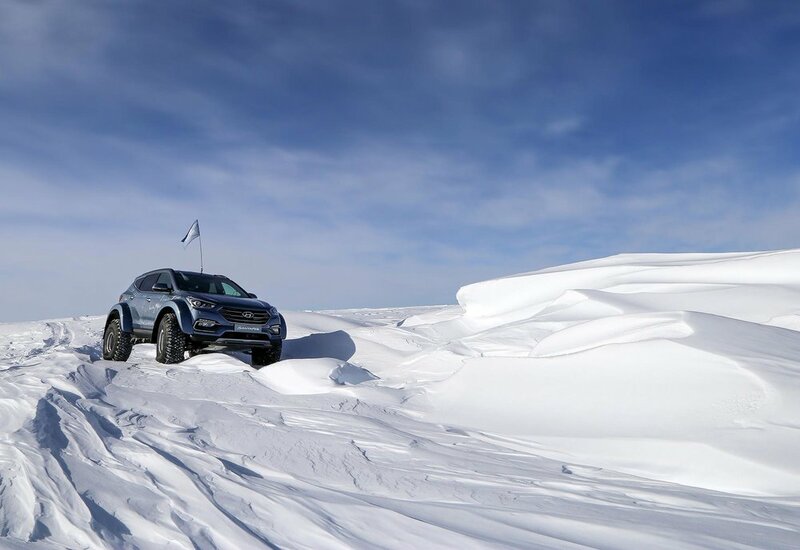 Fittingly, the Santa Fe was driven by Patrick Bergel, the Great Grandson of Shackleton. 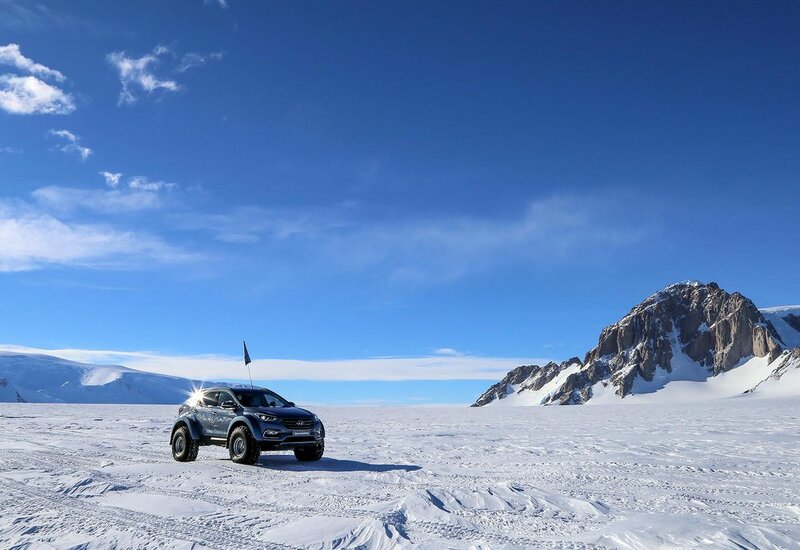 Bergel completed the expedition in 30-days, marking the first time a passenger vehicle had ever traversed the Antarctic continent. 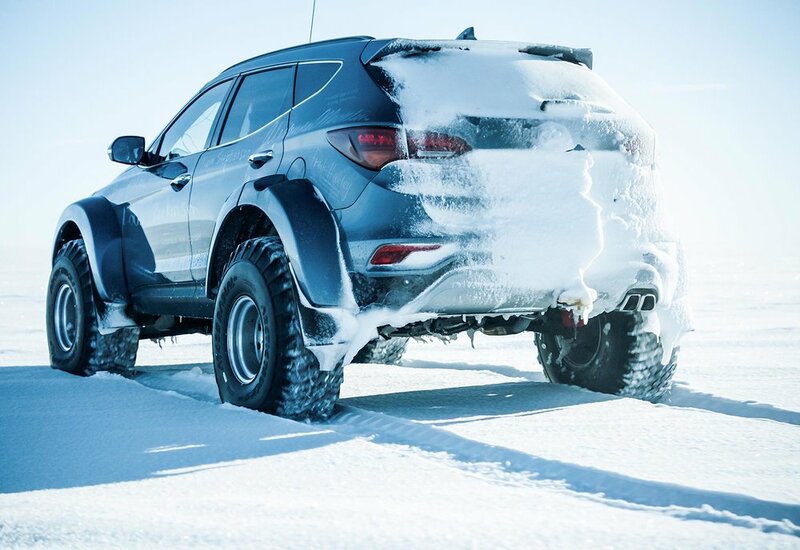 Only a handful of modifications to counter the tough Antarctic conditions, such as the fitment of large, low-pressure tyres, a 250-litre fuel tank and a pre-heater for the cold were made. 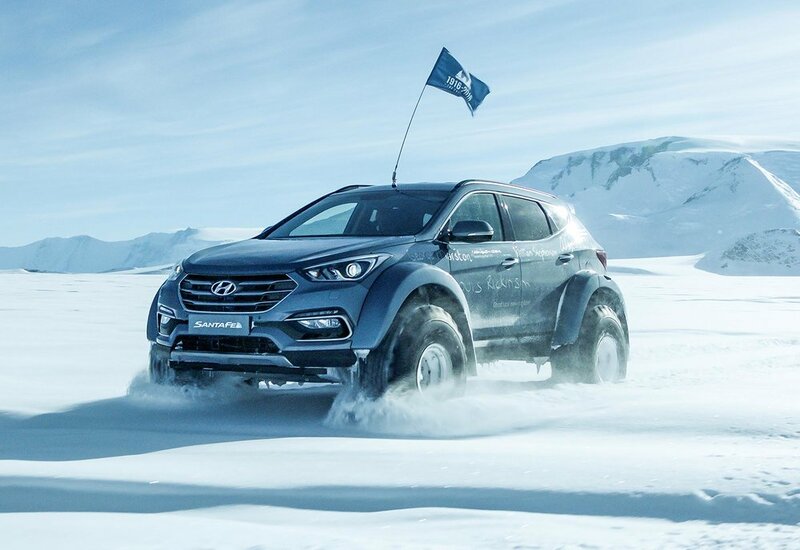 To commemorate the achievement, Hyundai will make 500 Endurance Edition Santa Fe models. 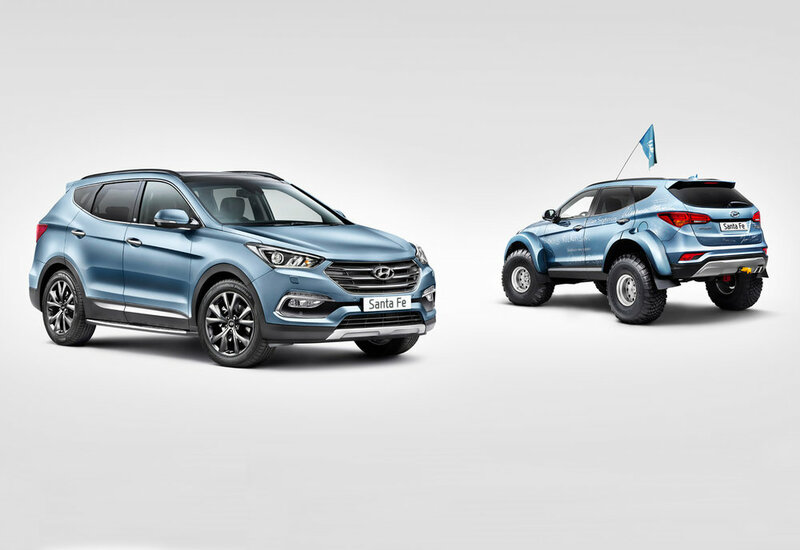 The ‘highly-equipped’ Endurance Edition sits at the top of range, with each car based on the 2.2 diesel 7 seat 4WD Automatic Sante Fe in Premium SE trim with Convenience Pack. The pack includes Smart Electric Tailgate, Panoramic Sunroof, Autonomous Emergency Braking, Smart Cruise Control and Around View Monitor. Endurance Editions add 19-inch alloy wheels – wrapped in 235/55 R19 tyres – Side Bar Sport running steps, while the final touch is a special Endurance logo which can be found on the B-pillar and interior floor mats. It features the Shackleton Family Motto and a 28-point compass representing the 28 crew that survived. Customers can choose from five limited colours: solid Creamy White, pearl White Crystal, metallic Titanium Silver, pearl Phantom Black and metallic Mineral Blue - the same colour as that of Bergel’s expedition car. 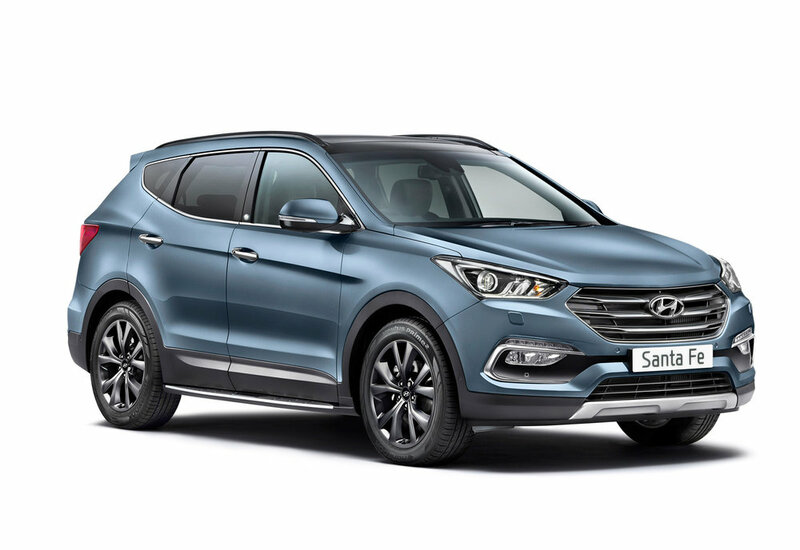 The Santa Fe Endurance will be priced at £38,995, representing a saving of £2,400 over a standard Premium SE with Convenience Pack and Automatic transmission and can be ordered from 18 May 2017.